It’s your day off work after almost two weeks of nonstop phone calls and client meetings and you can’t wait to revamp your condo. You’ve planned this for almost forever but it somehow gets delayed because of the heavy workload… but today’s the day! You start by moving the ball chair to your room because you just bought a new one for the patio. While you’re at it, you noticed the difference in color of the wall. You don’t remember painting the parts with different shades, what happened? That, dear DIYer, is a painting problem that is common to spaces that are exposed to sunlight for a long time – your wall paint is fading. Fading is the gradual loss of color of one or more paint pigment(s) resulting in the lightening of the surface. It often goes with chalking so expect that when there’s chalk in sight, more often than not, fading eventually follows. This painting problem is prevalent on dark-colored walls since these tend to absorb more heat than the lighter ones. Therefore, these walls will have a higher chance of paint deterioration. It may also be dominant on coastal areas as the sea salts and atmospheric moisture create a corrosive environment that also adds to the rapid fading of the paint. As we have previously mentioned, exterior and interior walls which are exposed to sunlight have the tendency to fade faster than the expected duration. The high levels of ultraviolet (UV) rays emitted by the sun greatly affect the paint pigments making it vulnerable to several painting problems including fading. The sudden change in the temperature is also a big factor to fading. The greater the extremes of temperature that surround a painted building, the greater the stress on the paint system which causes the paint deterioration process to hasten. Adding an unnecessary amount of colorants than needed to a white paint might trigger the sudden and brisk manifestation of fading. The proper application of the paint is a must when it comes to DIY painting or any painting jobs for that matter. Over- thinning helps UV rays to penetrate the coating easier hence causing it to fade sooner. There are cases though, where the paint appears to be fading but isn’t really fading. Make sure to look into the problem closer first. Check if your wall is clean. Sometimes what seems to be a fading wall is simply just the dirt particles from pollution stuck to the wall. To eliminate fading, the entire surface will have to be cleaned thoroughly using a mild soap to remove all the surface contaminants. Take extra care to prevent damaging the substrate and its nearby areas. For exterior walls, pressure washing may be more practical if circumstances allow. Prepare the surface adequately before proceeding to repaint. 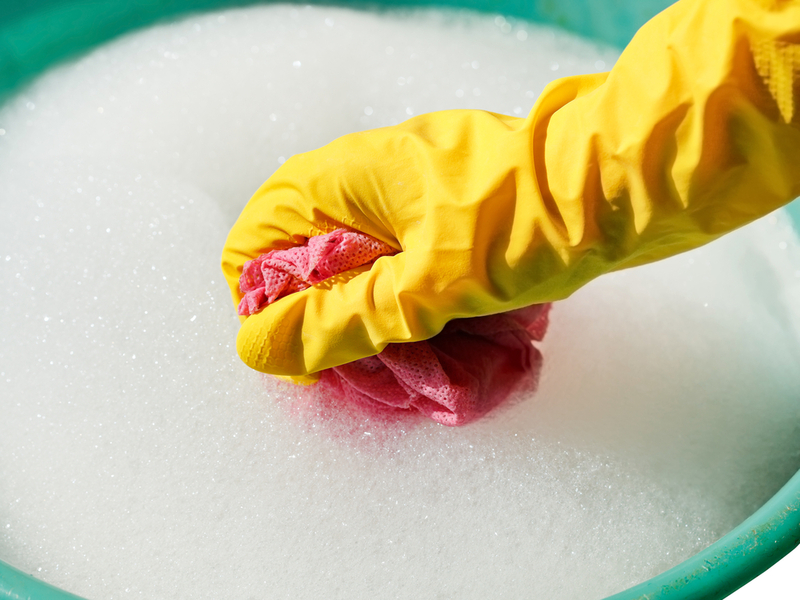 Make it a habit to do a general cleaning of your condo unit at least every six months to check on the impending problems. And DIYer, don’t be afraid to ask for professional help when you think you can’t handle the problem. Make your day off count by addressing these paint problems immediately and maintain the appearance of that condo for the hard worker, go-getter, trendsetter you. Click this link for more tips. We would love to help you save your home, talk to us for urgent painting problems. Send an email to ask@myboysen.com or call (02) 363-9738 local 417 to 418.